Backyard gardening has become a popular trend among my generation, and I am no exception. A couple of years ago I decided to start a garden. Why not? My grandmother was a grand gardener. Certainly, I could manage a 4 x 4 container garden. It must be in the genes, right? I Googled how to build the container, but that was the extent of my research. In deciding what to plant, I let my taste buds do the choosing. My local garden store had a variety of vegetables and herbs. I grabbed plants willy-nilly, my thoughts filled with fresh tomatoes (heirloom and cherry), zucchini, crookneck squash, peppers, cucumbers, basil, rosemary, and mint. I rushed home with my bounty and crammed the plants into my garden. And so the waiting began. I watered and weeded and waited some more. Nothing happened. Oh, I had plenty of herbs. And my zucchini plant produced pretty yellow flowers. I think I harvested one cucumber and a couple of cherry tomatoes. But that was about it. My dreams of a bountiful harvest were crushed. I learned my lesson. The next year I spent more time planning my garden before I ever stuck my hands in the dirt. I’ve since learned which plants grow well in my region and which ones make good garden partners. Now, I keep my herbs in separate pots. And I rotate cool-weather lettuces and veggies with summer tomato and squash varieties. My dreams of backyard gardening have finally come to fruition. It’s amazing what a little research and planning can do. The same can be said for many areas of our lives. In this issue, Eric Geiger writes about the importance of building a wise discipleship plan for your church. “The antithesis of teaching with wisdom is a haphazard plan or no plan at all for developing people in our groups and classes,” he writes. Not sure where to start when looking for a Bible study that fits your church? We’ve got you covered. You’ll read about LifeWay’s different curriculum lines based on four starting points — life, text, theology, and your church. “A group will be frustrated if what it is studying doesn’t match the group’s preferred approach,” writes Geiger. 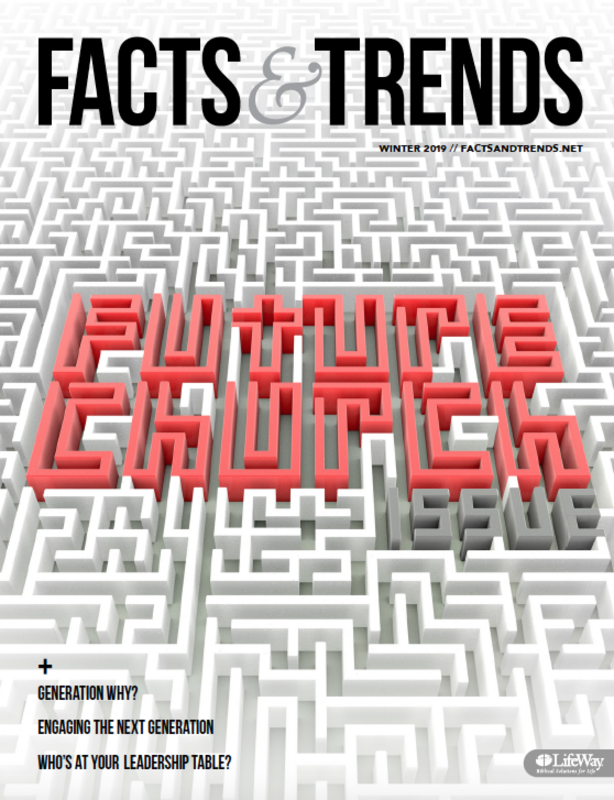 We hope this issue helps you think through what type of curriculum best fits your church. Starting with a wise plan is the first step toward a fruitful group discipleship experience. Based on conversations with church leaders, Eric Geiger says LifeWay has concluded there are four general starting points for Bible studies: life, text, theology, and your church. Theology matters for your church because theology is for everyone. Every Christian is a theologian. Most pastors would agree their dream church is one where people are growing in their faith, leading their friends and neighbors to Christ and discipling them, and living on mission with God. So how do you get that? Where can a church begin looking for the right Bible study materials? For some, it may be within the church itself. About once a month, a group of fathers and sons at Denver Baptist Church in Denver, North Carolina, gather for barbecue, basketball, and the Bible. These fathers are investing in their sons using The Gospel Project. “Church starts from the Sunday school class. And when they come in here, what do they do? They take what they’ve learned to their friends.” Bible Studies for Life helps churches connect with members and answer life’s big questions. “I’m planning for the next 10 years, and who knows what’s going to happen after that? But at the end of this nine-year cycle, I’m going to be able to look back and say—if Jesus tarries—we got through all 66 books of the Bible.” Explore the Bible gives First Marion Church a nine-year Sunday school plan.